The fatality of the family wage earner is shattering both financially and emotionally. Social Security can provide assistance for family members of workers who died. If you have lost a family member who financially supported your household, you are likely eligible to receive Social Security survivor benefits. Getting help from an experienced Glen Burnie Social Security disability lawyer will help surviving family to obtain survivors benefits. Your deceased relative worked hard to obtain the benefits you have a lawful right to receive. How are Survivor Benefits Earned? Some of your Social Security taxes are designated as survivors benefits for workers and their families. Upon a worker’s death, certain family members might be eligible for survivor benefits. Workers earn survivors benefits while working and paying Social Security taxes. The number of years a worker needs to work in order for family members to qualify for survivor benefits depends on the age of the worker at death. But no more than 10 years of work is required to determine Social Security benefits eligibility. A widow or widower may be able to obtain full benefits when full retirement age is reached. Full retirement age is based on when the survivor was born. For survivors born from 1945-1955, the full retirement age is 66. For survivors born from 1956 to 1960, the full retirement age gradually increases to age 67. For survivors born after 1960, the full retirement age is 67. Reduced benefits are available at age 60. If the surviving spouse is disabled, benefits can begin at age 50. A widow or widower who takes care of a child, under the age of 16 or a child who is disabled and receiving Social Security benefits, can receive benefits at any age. Children can receive survivor benefits if they meet certain requirements. Unmarried children, younger than 18 or up to 19 if they are enrolled full time in elementary or secondary school, may also receive benefits. Children who were disabled before age 22 and are still disabled can obtain benefits. In certain cases, benefits can be paid to stepchildren, grandchildren, step grandchildren, or adopted children. Your account number and name of your bank to establish a direct deposit for your benefits. Dealing with the death of a family member is stressful and painful. 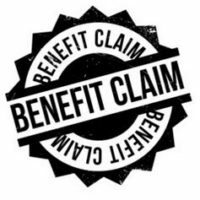 The Law Offices of Steinhardt, Siskind and Lieberman, LLC will file your survivor benefits claim to help ease your burdens. Meet with a Maryland Social Security disability attorney in our Glen Burnie office or our satellite offices in Owings Mills, Ellicott City, and Annapolis. We will complete the tiresome and intricate process of filing your claim. Spouses and children of workers who died are designated survivors who can collect benefits. Get the benefits you deserve.